Our poodles love everyone! 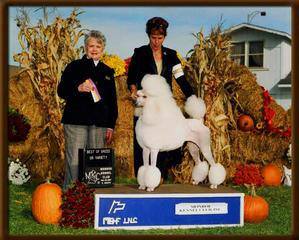 We also take our poodles to the local elementary school for shows. Imagine ten poodles amongst hundreds of children! The children are all over the dogs and the dogs just love it. All of our poodles are truly family dogs.